Another great spring 2012 collection. 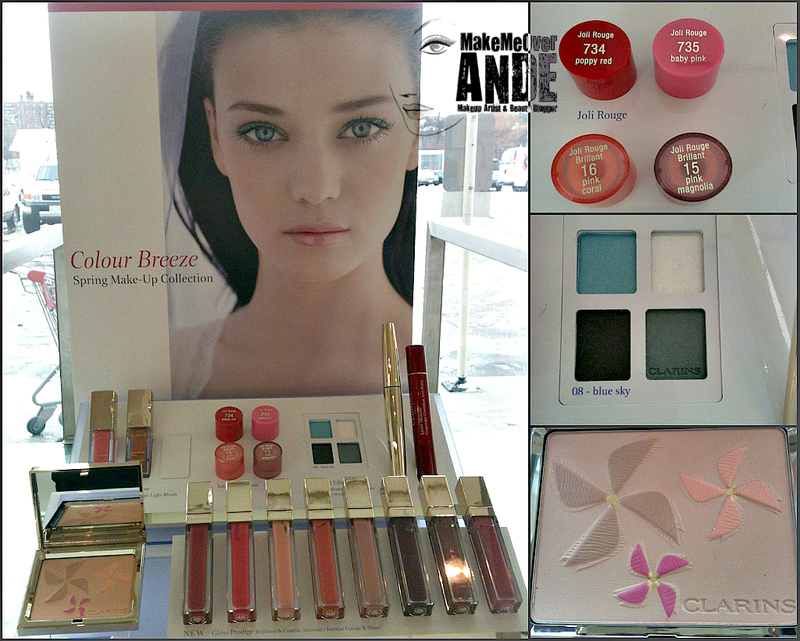 This beautiful Clarins spring 2012 collection contains a few products that are limited editions. I find with higher end brands women buy the key limited edition pieces of the collection to showcase and keep as collector items and not to actually wear. I know I have a couple of Chanel pieces from way back that are still in boxes and once in a while I will take out and ohhh, ahhh, and admire. OK, back to the Clarins collection. This collection includes an eyeshadow quad (limited) 2 liquid cream blushes(limited), a beautiful face palette colour breeze(limited) 2 lipsticks & 2 sheer lipsticks(limited), 8 Glosses(permanent). Also featured with this collection is a mascara and eye luminator. Do you collect limited edition pieces from makeup collections?? share with me in a your comments what gems you have acquired?